Max Christian Friedrich Bruch was born in Cologne on 6 January1838. His father was a lawyer and his mother was a music teacher. He had a brilliantly successful career holding many prestigious posts. First as Music Director in Koblenz (1865), then Court Kapellmeister at Sonderhausen (1867-1870), Conductor of the Philharmonic Society of Liverpool (1880-1883), Conductor of the Orchesterverein in Breslau (1883-1890), and finally as Professor of Music in Berlin (1891-1911). Additionally, Bruch was a tremendously successful composer writing nearly a hundred works including three operas, three symphonies, several solo pieces, sacred and secular choral works, art songs, and chamber music. He was a well-regarded conductor and one of the most sought-after composition teachers in Europe. Ottorino Respighi and Ralph Vaughan Williams were among his most famous pupils. Bruch made the first sketches for his G minor violin concerto in 1857. He finished the first version of the work early in 1866, and in April of that year, conducted it in a benefit concert in Koblenz. After this performance he revised the work extensively even considering recasting it as a fantasy because of its free form. He consulted Joseph Joachim about the solo part. Joachim was impressed, suggested several additional changes and played the premiere of the revised concerto in 1868. 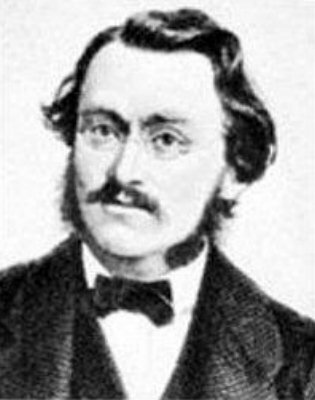 Bruch dedicated the published score to him. The concerto is set in the traditional three movements, but departs considerably from the classical form. The first movement is named Vorspiel (prelude) and it serves as a kind of extended free-form introduction. Two ideas are introduced and briefly developed: a very lyrical solo line played over a quiet orchestral accompaniment and a contrasting melody, played above pizzicato basses. The movement builds to furious climax and then gives way to a lyrical cadenza. The Adagio is carried almost entirely by the solo part, which plays without pause except for a brief orchestral passage in the middle. Three unhurried and beautiful themes are introduced and developed in turn. The last movement makes free use of the rondo form. It opens with a fragment of the theme passing around the orchestra. The full theme is at last introduced by the soloist and has a lively gypsy character, full of energy and double stops. The second subject is broader and grander and forms a strong contrast to the first. The mood of exuberance never wanes and the concerto finishes with an exhilarating coda. Almost forty years after the first performance, Joachim cited the concerto as one of the "four German violin concertos" the others being those of Beethoven, Brahms, and Mendelssohn and called it the "richest, most seductive" of the four. As he grew older Max Bruch’s popularity as a composer began to decline and today he is known primarily for two works, the G minor concerto and the Scottish Fantasy. Late in life he was frequently called upon to give advice to young virtuosi on the performance of his works. “Which concerto are you planning to play?” he would ask. “The one in G minor” was the invariable reply. The old man would groan, shake his head and say “but why don’t you play one of the other two, they’re just as good”. Recently the other two concertos have been revived and recorded, but still the G minor concerto remains his most loved and enduring work. Bruch's first violin concerto was performed by the Portobello orchestra on the 16th July 2005 with Madeleine Easton (solo violin) and Anthony Weeden (conductor) and on the 7th July 2012 with Mihkel Kerem (solo Violin) and Anthony Weeden (conductor).